Last updated: July 14, 2018 at 10:21pm by Savanah – It appears no internet poker bills will be presented this year in California, unfortunately. On February 17th last year, Assemblyman Reggie Jones-Sawyer introduced a bill (AB 1677) which would allow online poker in the state. Unfortunately, no vote was taken throughout the year. Adam Gray and Reggie Jones-Sawyer, CA Assemblymen, presented AB 2863 in February 2016 which would regulate and legalize online poker. A few months later in April, it passed the Assembly Governmental Organization Committee and the Assembly Appropriates Committee two months later. It then went to the full Assembly for consideration but it was shelved. These bills call for a license fee of $12.5 million and a flexible tax rate ranging from 8.847%-15%. Additionally, the bill would provide up to $60 million a year to the racetracks, and in return they won’t be in the internet poker space. This market could grow to $380+ million in annual revenue. California is one of the more lenient and accepting states when it comes to legal forms of gambling but their laws to regulate these activities are fairly strict. Of the six major forms of gambling; charitable gaming, pari-mutuel wagering, state lotteries, commercial casinos, Indian casinos, and racetracks, they are one of twelve states to legally allow five of the six forms of gambling in their state laws. Commercial casinos are the only form not allowed and there are only two states in the USA to allow all six, Iowa and Michigan. For the most part, California’s gambling laws are pretty defined and complex, although there are some areas with broad interpretation. For more in-depth information on California’s Constitution and anti-gambling laws click here. Is Playing Legal Poker Over the Internet in the Near Future for California? 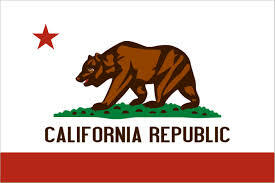 Although a complicated question and process, the answer is yes, their most likely will be legislation passed for legal online poker play in California in the next year or two. If you are asking when it will be passed, that is another great question. Most industry experts think a realistic time-frame will be sometime in 2017-2018. Legislation has been written and bills have been proposed by California state representatives the past few years, but none have yet been approved and put into law. Two internet poker bills were introduced on the deadline, February 21, 2014, which are pretty much the same bills that have been introduced in the past with minimal revisions. Both bills, SB 1366 and AB 2291 have been shelved for 2014, but bill AB 9 was introduced on December 2, 2014 by Assemblyman Mike Gatto and AB 167 in January 2015 by Assemblyman Reggie Jones Sawyer. In March 2015, two new bills, SB 278 and AB 431 (identical), were introduced by Senator Isadore Hall and Assemblyman Adam Gray. Although none of those passed, Adam Gray and Reggie Jones-Sawyer presented another bill (AB 2863) in February 2016. This bill passed the Assembly Governmental Organization Committee and Assembly Appropriates Committee, but it did not get voted on by the full Assembly and has been shelved until. Maybe this year, 2017, will be the year it gets passed. It makes sense for California to pass regulated internet poker laws. Their tremendous state population of 39.2 million people would allow for the largest pool of poker players than any other state in the USA, which would help lower their significant state debt level of $400 billion from the taxes collected. A main reason why these bills are getting delayed is because the poker rooms, Indian tribes and racetracks within the state are having difficulty agreeing on a plan that is satisfactory for all parties involved. The California State Lottery, known as the California Lottery, was passed in 1984 with a 58% voter approval and the first ticket was sold on October 3, 1985. 87% of all revenue goes back to the public, 50%-53% towards prizes and 34%-37% to public education, and 13% goes towards administration. Assure protection of the public. Encourage agriculture and the breeding of horses in this state. Provide for maximum expansion of horse racing opportunities in the public interest. Provide uniformity of regulation for each type of horse racing. Simulcast pari-mutuel wagering is now offered at remote locations. Bettors can now place these bets at websites and enter into a pool of betting rather than having to go to the actual race site itself. Indian casinos were allowed to be built and operated in 1987 by Indian tribes after the Supreme Court ruled in favor of the California vs Cabazon Band of Mission Indians case. 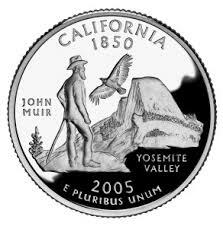 Today 62 of the 109 California tribes own 68 casinos. It’s estimated that Indian casinos in California generate $7.5 billion annually with $500 million going towards state tax revenue. The largest casino in the state is located in Temecula, the Pechanga Resort and Casino, which has over 3,400 slot machines and 188,000 square feet of gaming space. It cost $262 million to build, opened on June 24, 2002, and employs 4,100 people. Nonprofit organizations must register with the California Bureau of Gambling Control to host a charity event. These organizations are limited to one event per calendar year, and no one is allowed to participate at these fundraising events that are under 21 years of age. On January 1, 2007, a new California law, Business and Professions Code sections 19985-19987, passed allowing pre-approved nonprofit organizations to hold “charity poker night” fundraisers. Nonprofit organizations and suppliers must submit an annual registration form to the Bureau for approval. Not all games are approved by the State of California Department of Justice; please see the current game list here.